While at Haystack I took any opportunity I had to get off the main campus. As much as I loved the woods, it was nice to pop into town every few days to remind myself that the actual world existed beyond our secluded creative bubble. Sometimes it was just a quick ride to grab a six pack of beer or fried popcorn shrimp. On a few trips, I tagged along with others from the Fibers workshop to the local junkyard. Haystack attendees have scavenged the local dump for many years, searching for hidden treasure amongst the mud and discards. 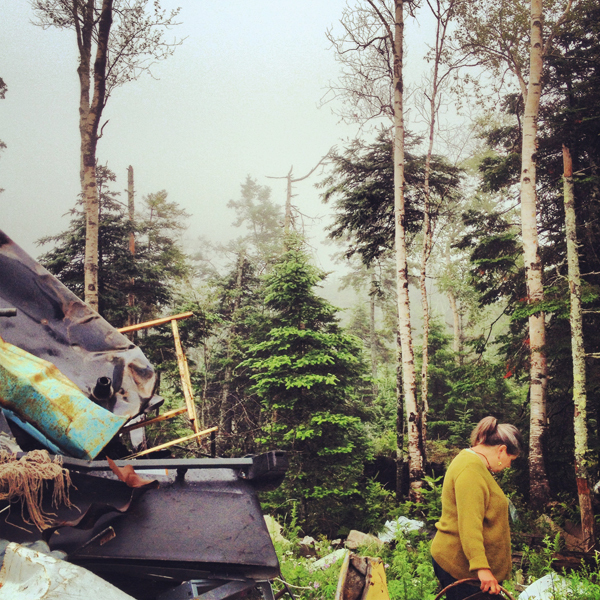 The contrast between the natural Maine landscape and the mountains of garbage was striking and heartbreaking. 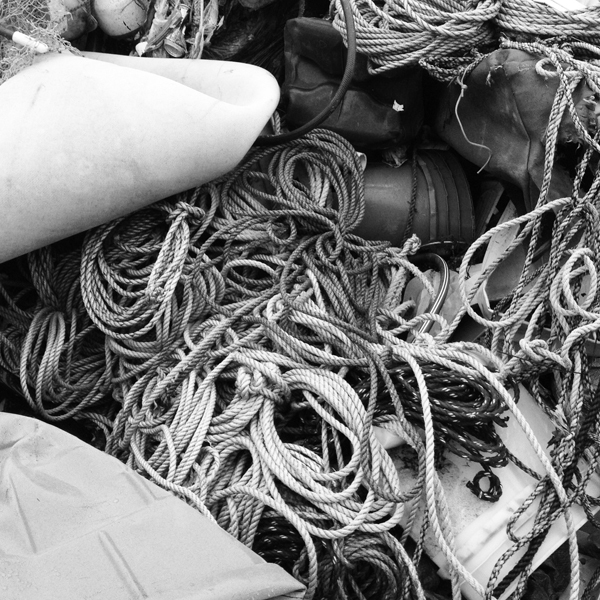 There was something cathartic about trying to find beauty somewhere buried in the trash.